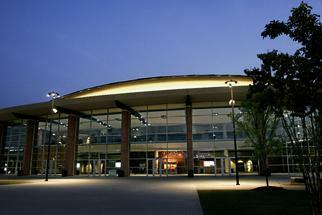 From major conventions to ECHL hockey games to music concerts, The Arena at Gwinnett Center can handle it all. With a seating capacity of 13,000, The Arena features a state-of-the-art house reduction system which can easily, comfortably and quickly convert the space for groups ranging from 3,500 to 13,000. The Arena includes 36 corporate suites, 2 party suites, club level seats, a spacious concourse, wider seats, a high-end sound system and acoustical enhancements to provide the best environment for experiencing a wide range of events. The Gwinnett Center is centrally located close to many hotels to accommodate out of town guests. Transportation can be provided to make transitions to and from events as seamless as possible. Our campus is also in close proximity to various restaurants, shopping areas and amusement attractions.